I’m not sure about you, but I love doing activities in Fall because it’s basically the last time I want to be outside until the end of March. Save a few nice Winter days past Christmas, the weather here in Canada can be downright brutal and so Fall becomes the last hurrah of nice days. Lucky for us, Fall ALSO happens to be a season where there’s a lot of cute activities to do outside! Not to mention how gorgeous everything looks as the leaves start to change colours and Mother Nature gives us one last finale before hunkering down for Winter. 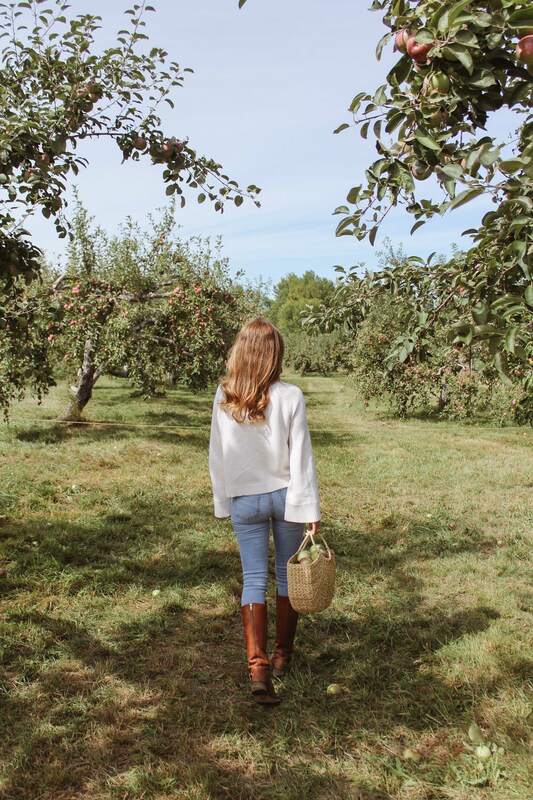 Today I thought I’d share 5 activities I love to do during Fall. 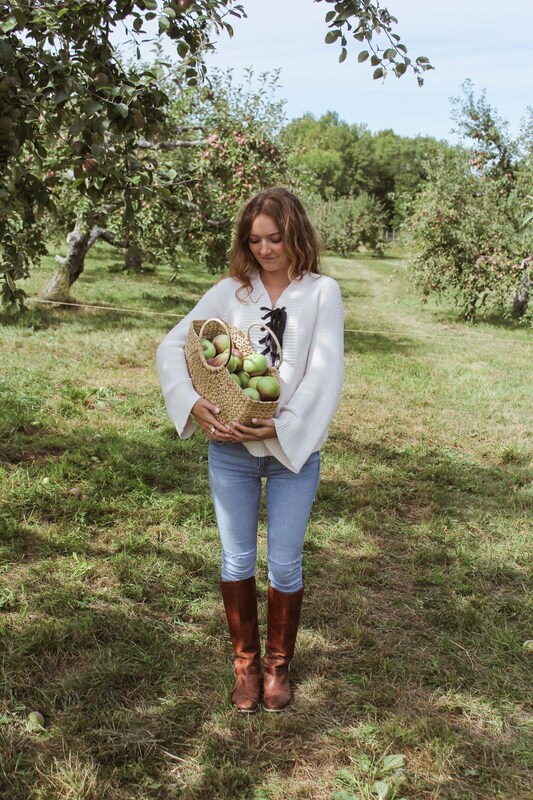 #1 – Apple picking. Kyle and I started a tradition of going apple picking for our anniversary when we first started dating (5 years ago this year!). It’s something that’s easy to do as a couple or with family, and it makes for a really nice relaxing afternoon outside. 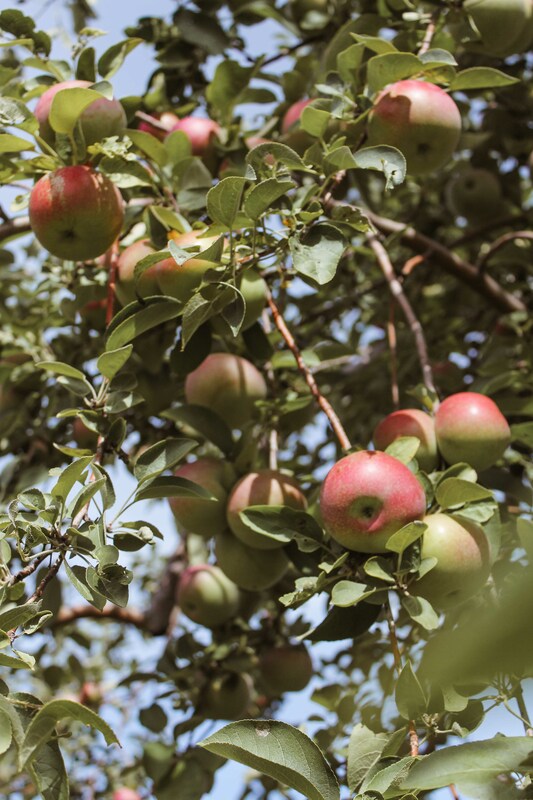 Oftentimes these orchards are family owned and operated, and it’s always nice when you can support something local as well. 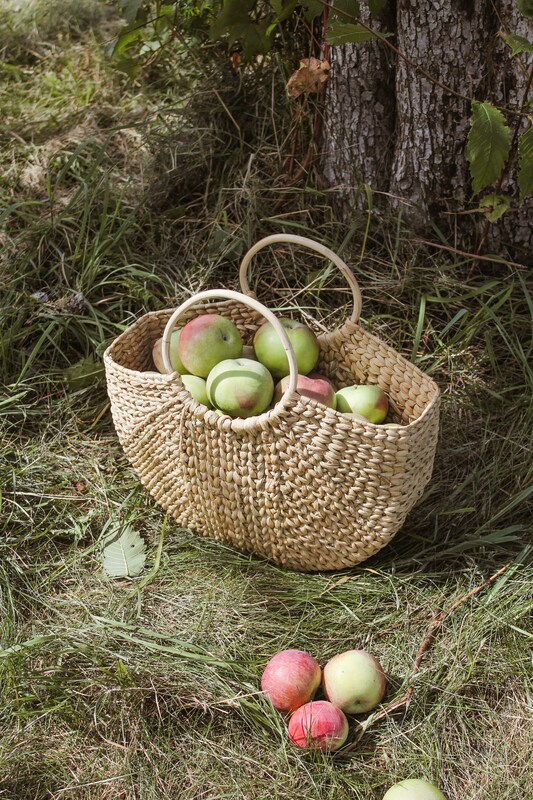 The best part is you get to keep all the apples you pick, and use them towards my next activity! #2 – Bake an (apple) dessert. 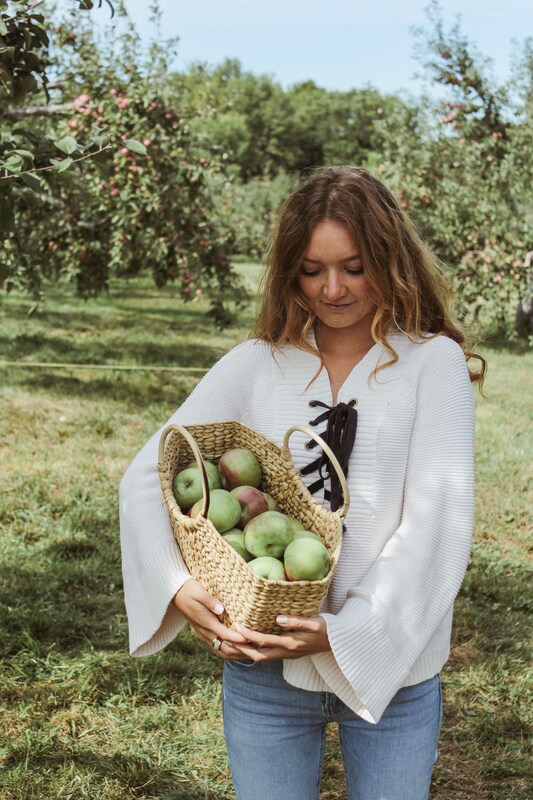 This might be my favourite part of apple picking – getting to use said apples to bake something delicious! We’ve made many apple crumbles and pies over the years. Something about baking together is really rewarding – and then you get extra rewarded by being able to eat what you’ve worked on! This year we opted to make some apple jam as well (recipe here). It’s really, really delicious and I’m glad we got to try something new! #3 – Pumpkin picking. 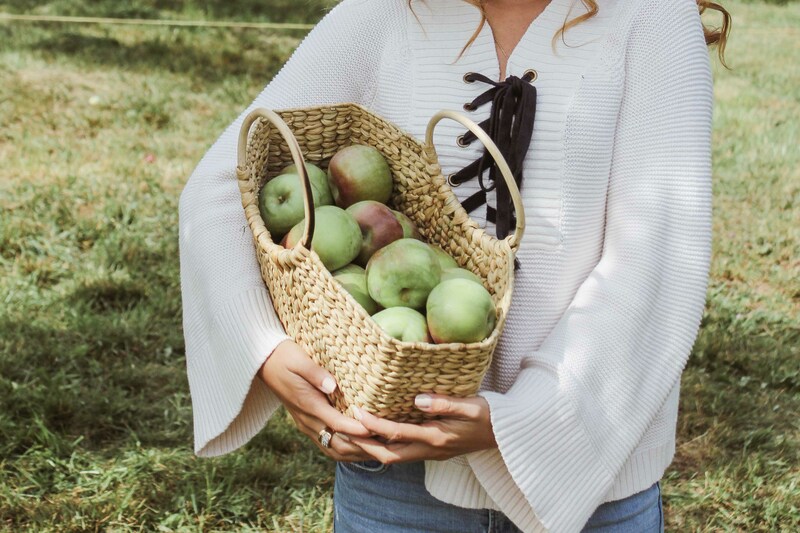 Like apple picking, going to the pumpkin patch makes for a really nice afternoon outside. If you’re anything like Kyle and I, we get really competitive over who can find the most ideal carving pumpkin – and then when it comes time to carve we also like to compete to see who gets the most comments from our neighbourhood trick-or-treaters. #4 – Boating tour. I always love going out for a little cruise when the trees are at their most colourful. Usually it’s pretty chilly at this time, so I would suggest packing a blanket and a thermos of hot chocolate, but it’s worth it. You get to see the trees from an entirely different vantage point, and usually it’s a completely unobstructed view from out on the water! #5 – Spend a night somewhere else. This one depends a little bit more on your budget and is moreso geared towards couples, but one thing I really love to do in the Fall is find a little bed & breakfast somewhere nearby and stay over one night. Bonus points if you can minimize time spent on your phone! I always love doing this because it helps me really sit back and be thankful for everything (and everyone) I have in my life. Dress up for dinner, order breakfast in bed. You don’t have to go on a two week lavish vacation to hit refresh, practice a little self-care and feel blessed to take on the next chapter! So there you have it! 5 activities I always try to fit into my Fall schedule. Let me know if you’ve done any (or all!) of these!